Does not work. Semms to be something wrong with the code snippet. For Navigate method I need a Uri object. Thank you I corrected the code snippet and it should work now, I mixed it up with something else and of course you are right. A Uri object is needed for this. You can use the snippet now and it should work! But if there is no exception it does not work anyway. I’m using the emulator, could this be the problem? (the other header as well! 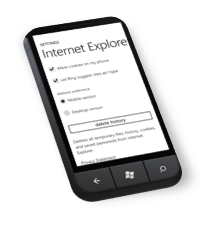 Here is an example of the user agent for WP8. somehow the query params after the first & get dropped.